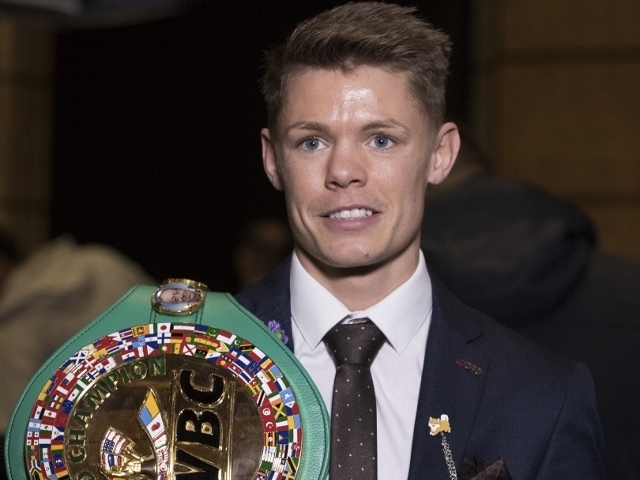 Charlie Edwards says a domestic blockbuster with British rival Kal Yafai is "on the radar", but he must first have to overcome former sparring partner Angel Moreno when he defends his WBC Flyweight World title for the first time at the Copper Box Arena this Saturday, live on Sky Sports in the UK and DAZN in the US. "He's on the radar, 100 percent," said Edwards. "It could be next, because I would have it next, but I know he won't, so it probably won't be next. I don't think he wants to entertain me at all. He made that pretty clear during the year when I was trying to call for the fight. I like this guy, theres no hiding. He took every step up he could. It got him beat, then it got him champion. Unless Charlie's struggling to make weight @ 112Lb then that's where he should stay for now. Okay a fight with Kal makes good dough in the UK, but so do unification's.